BBC has suspended Top Gear host Jeremy Clarkson “following a fracas” with a producer. Jeremy Clarkson, 54, had been suspended “pending an investigation”, the broadcaster said. Jeremy Clarkson was given what he called his “final warning” last May after claims he used a racist word while filming the popular motoring show. At the time, Jeremy Clarkson said the BBC had told him he would be sacked if he made “one more offensive remark, anywhere, at any time”. The broadcaster gave no further details on the current incident involving Jeremy Clarkson, and said it would not be making any further comment at this time. 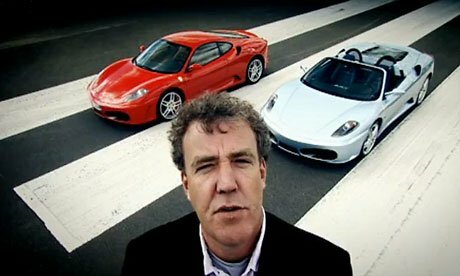 This weekend’s episode of Top Gear was set to feature Jeremy Clarkson – who has fronted the show since 2002 – along with regular co-hosts Richard Hammond and James May at a classic track day. Jeremy Clarkson has courted controversy on several occasions during his time hosting Top Gear. Top Gear‘s executive producer, Andy Wilman, described last year as “an annus horribilis” for the show.